Two new maps: "Byzantium" and "Hispania"
The cards are all different, can be acquired during the game, and salt your game with new strategic challenges! Some cards have permanent effects, others return to stack after using. 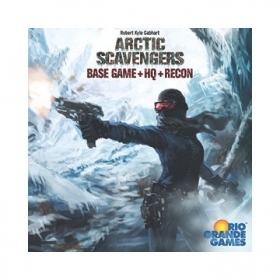 Both the sixth commodity and the new cards can be played with the base game and the Britannia expansion as well, thus giving even more variety. 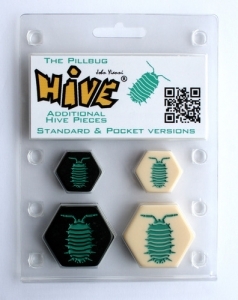 Hive: The Pillbug is a new pair of tiles that can be added to Hive and Hive Pocket. The pillbug moves like the queen bee – one space at a time – but it also has a special ability that it may use instead of moving. This ability allows the pillbug to move an adjacent unstacked piece (whether friendly or enemy) two spaces: up onto the pillbug itself, then down into an empty space adjacent to itself.